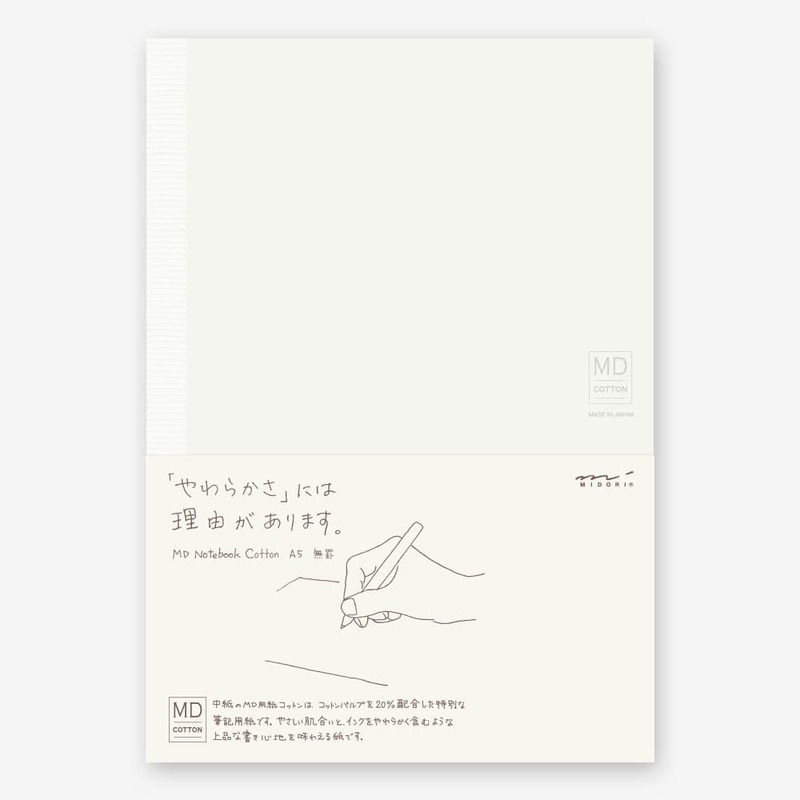 This is the Midori Notebook Cotton A5 Blank. You can use the two-page spread as a single canvas when drawing. It has MD Cotton Paper with cotton pulp used for 20% of the materials, giving it a soft, fuzzy texture, ideal not only for classic fountain pens but for colored pencils too.